Welcome to Healthy Little Peach! Thank you so much for stopping by. 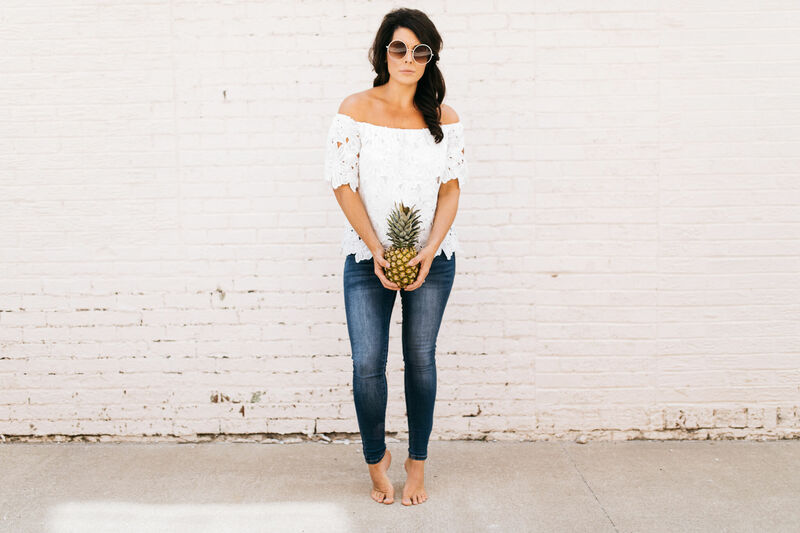 My name is Ashley McCrary, but go by, “Mac,” a teacher by day, and a health and lifestyle blogger by night based in Missouri. I am the wife to a handsome, loving human, Joel, and a mother to a fierce and strong girl-dragon, Eloise. Before getting pregnant I was 30 pounds overweight and gained an additional 30 pounds during my pregnancy. After giving birth, I couldn’t grasp the reality of what the number on the scale was showing. I was tired, really tired, both physically and mentally, I knew it was time to not just “diet” but to make an overall lifestyle change. After reading and conducting a lot of research, I FINALLY found the answer I had been searching for my entire life. Melissa and Dallas Hartwig’s book It Starts With Food and the documentary Food Inc changed everything. I finally understood what it meant to be healthy. Health doesn’t come from a 2 week diet or eating a healthy meal once a week, it comes from consistency and TRUE change. So guess what I did? I changed. I changed my mind and I changed my life. Over the past 3 years, my focus and passion has been adopting and adhering to the Paleo and Whole 30 lifestyle. I have lost 80 pounds and am healthier than I have ever been in my life. Not only am I healthy, but I’m happy. My relationship with food is more positive and I use food as fuel and not as a reward. Do I still have days of struggle, absolutely, am I human? YES! This lifestyle change has been the best decision not only for me, but also, my family. My husband has been right by my side and has completed many rounds of Whole 30 and loves the grain free and dairy free lifestyle. It has has lead us in the direction of finally figuring out what works to achieve overall health and wellness, and ultimately, food freedom. I love your blog but I also must have your fabulous off the shoulder white top! Where is it from??? ?